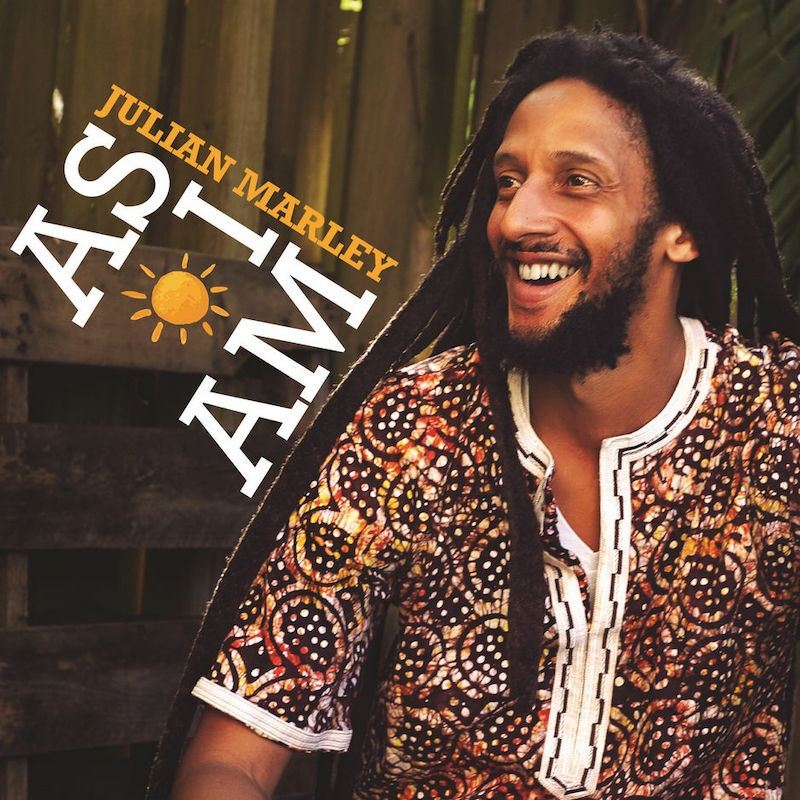 It has been ten years since the release of his last album, the Grammy nominated Awake, and now Julian Marley finally blesses us again with a new full-length album entitled As I Am. “As he actually is” - the release is diverse just like its versatile artist and multi-instrumentalist who didn’t just sing on it but also played guitar, organ, keys and percussion on most of the tracks. 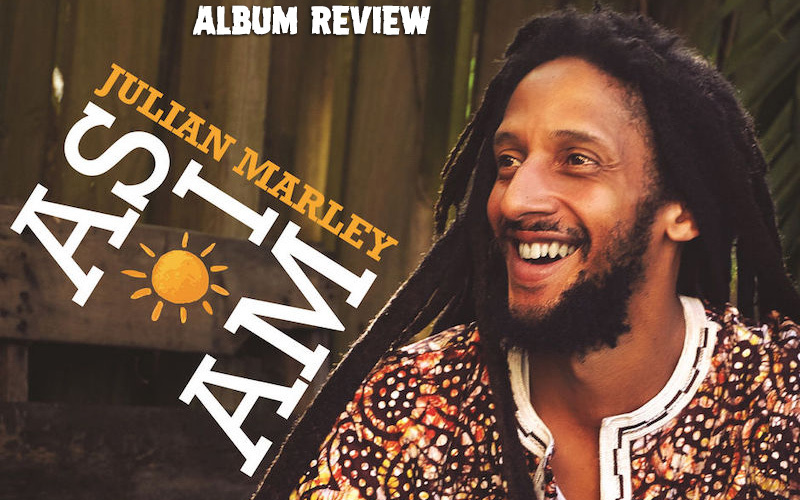 At the same time it is grounded, organic, well-balanced and bursts creativity – simply as Julian Marley is, a humble soul, dedicated to music, down to earth, open-minded. The lyrics reflect his day to day life, sometimes the love for ganja, more times the love for women and of course, the love for the Almighty Papa, he dedicated the same name song to – and not his legendary dad Bob, as many might have expected when first browsing through the track list. Juju’s works focus on heavy Roots Reggae, classic one drop rhythms like the opener Are You The One that creates a contemplative pulling effect with dubbish elements, hypnotic electric guitar and melodica played by Addis Pablo, that once more appears in the spotlight in the straight Dub version I Am The Sound. But Marley also includes Pop and Rock elements on Magic Of Love, groovy funk with horns section and howling organ for Chalice Load or Ska for the hilarious story of a “Rasanova” who cannot resist the “dynamite explosion” of a woman in Baby Lotion. 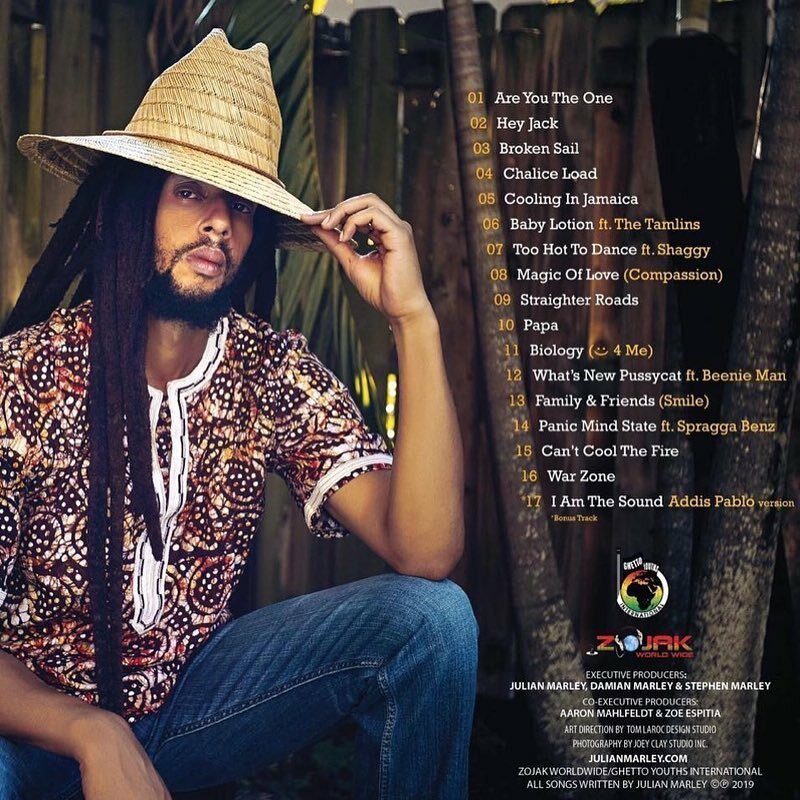 He surprises with tempos when the decelerated, dragging, meditative War Zone follows right after the rapid, menacing Dancehall track Can’t Cool The Fire programmed by brother Stephen Marley. And he loves to display variety – sometimes being the more easy, breezy flirty guy in the feature track Too Hot with Shaggy or his upbeat island interpretation of Tom Jones’ original What’s New Pussycat with Beenie Man, but then on the other hand fighting Babylon’s pressure with fire, or revealing a very thoughtful, intimate side, when admitting that he sometimes feels like a “ship with a broken sail on a stormy day, many miles away from shore” as he describes in Broken Sail. 17 tracks are quite a number for an album, yet the diversity of this record makes As I Am a colorful musical painting with new surprises to discover every time you take a look, or rather listen. The whole appearance comes with a pleasant effortlessness, a compelling authenticity and of course a brilliant sound produced by Damian and Stephen Marley.